Determined rock track with a memorable opening riff. Relaxed and groovy 80s pop tune with distinct bassline and acoutic guitar in the verse. Positive mood. Airy pop instrumental. Characterized by slowly increasing energy and a sweet chorus. Cool, groovy track with distorted guitar and a cowbell. Sportive and motivating. A bit more introspective. Piano, guitar, bass and drums. Hopeful and inspiring. Modern mid-tempo pop/ rock with a subtle brass part. Piano opening. Slower ballad with an 80s vibe. Dreamy and laid-back. Elevating pop reminiscent of 80s bands like The Police. Break at 0:44. With piano. Powerful distorted guitars with a hint of metal and classic rock. Straightforward and vigorous. Light-hearted and memorable. Some subtle electronics under pop guitars and drums. Like a slowed down version of a skatepunk tune, this track radiates positive vibes and good times. Energetic and with a steady drumbeat. Encouraging and perfect for sports & leisure programs. Power ballad. Light and with a positive undertone. 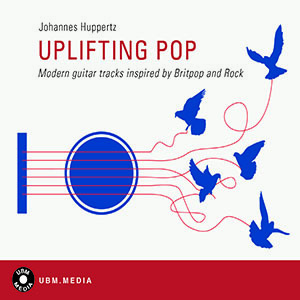 Cheerful pop/ rock for images of travelling, freetime activities and wide landscapes. Steady track, inspired by post-punk bands, and with an epic chorus part. Sturdy, ongoing bassline that leaves plenty of room for floating guitars. Powerful and inspiring. Break at 1:18. Rocking undertone with soft piano breaks.